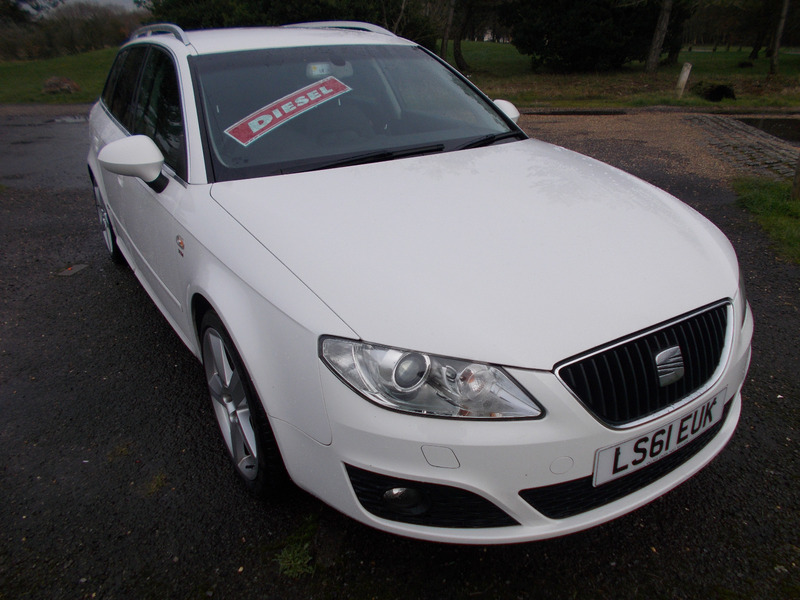 2011(61) Seat Exeo Sport Tech CR TDi CVT AUTO Estate car in whitewith full black leather interior great spec on this including Sat nav,heated seats,cruise control,climate,alloys. low mileage only 65000 with recent timing belt service on 41656 miles in 2017. 2 keys lots of history.